WOW! A rare find... the smallest home in Superstition Foothills! Meticulously maintained on PREMIUM LOT with VIEW FENCE and MOUNTAIN VIEWS plus... Corian counters and newer appliances, new hot water heater, R/O system, water softener, sunscreens and NO HOMES BEHIND...just relax in your own PRIVATE JETTED SPA and ENJOY STUNNING SUNSETS! desert behind. Relax in the private spa. Located in one of the most sought after subdivisions in Gold Canyon! 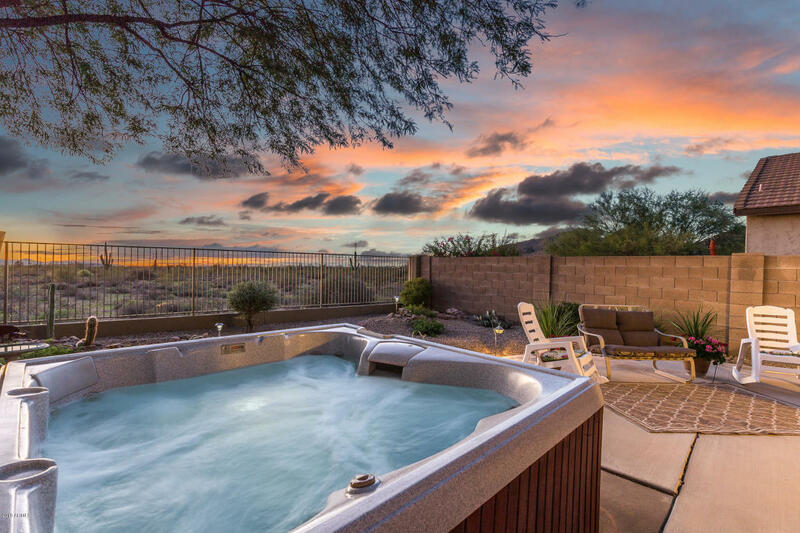 The low monthly HOA fee of only $45 is unheard of for the amenities offered including...heated community pool and spa with great views of Superstition Mountain, pet-friendly park and 52 well maintained, fantastic walking and hiking trails. WALK TO SHOPPING AND DINING TOO! ***Don't wait too long!